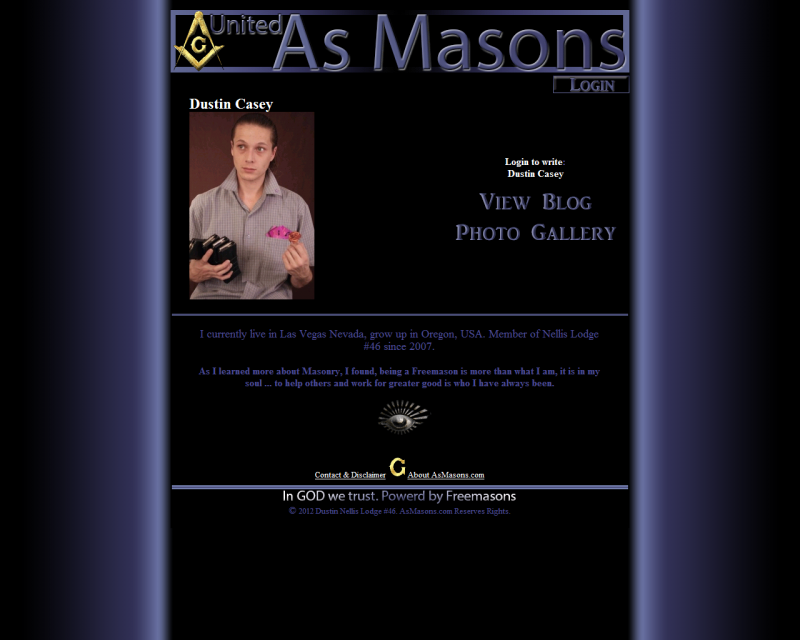 AsMasons.com helps to stay in touch with friends and search for other members, post your photos and express your personality. Members get their own blog system, photo gallery, secure message inbox (with photo attachment) and can add other member to their private friends list. 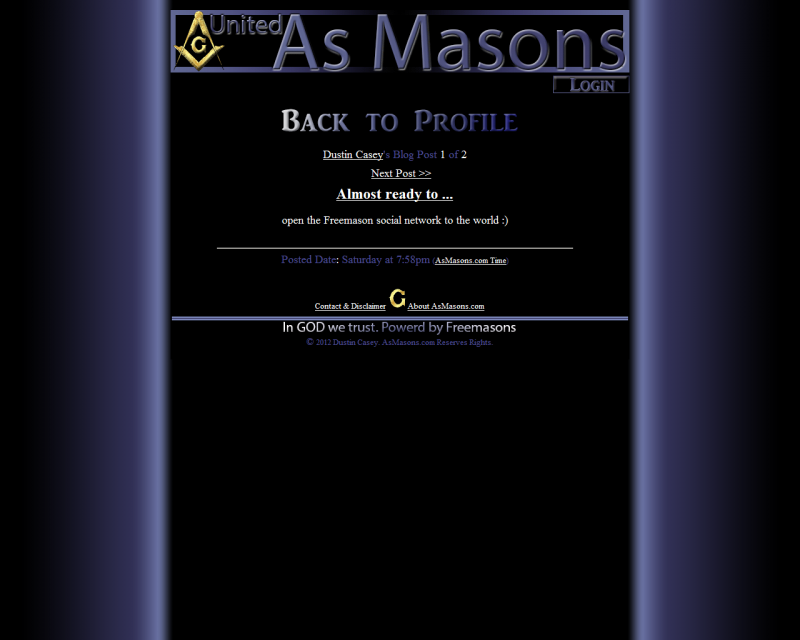 • Profile: Members get a main page, designed to be found on search engines with modifiable picture and description. • Messaging: Members can write personally to other members (title, message and photo attachment). • Photo Gallery: Albums are made to be fast, clear and pleasant to use. • Blog: Each blog post goes on a individual web page, that is connected to the creating members profile. Publish photos, html graphics, thoughts and work. • Friends: Members can save friends profiles to a personal friends list. • Web Search: Find friends, family and others with the search engine. For blogging, writing with friends, displaying photos while helping your internet presence. This is the place to be and it is free. We thank you for choosing this website as your social network. 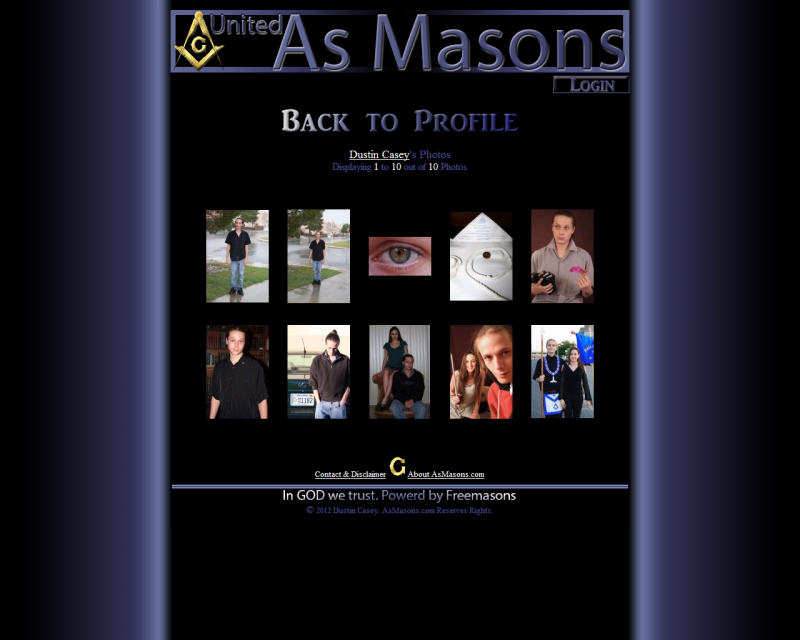 As Masons Copyright © 2012 - Thursday, April 25th, 2019 AsMasons.com All Rights Reserved.